How To Pick The Right Storage Shed | My garage is full. Time for a shed. How To Pick The Right Storage Shed? Read on to understand my journey in discovering the storage shed I need. It may provide you with insight into how to pick the right storage shed to satisfy your own storage needs. Or, jump straight to the storage shed reviews below for a discussion of the sheds I have already researched! 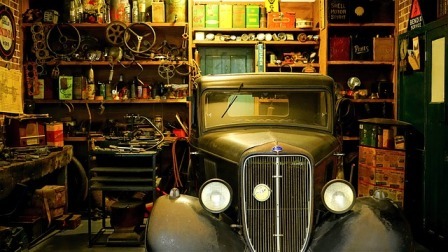 I have so much stuff in my garage that I can’t even begin to think of using the garage for its intended use – the car and van. Need I enumerate that I, as I look around, I can see a garden tractor, 2 lawn mowers, 2 weed eaters, a tiller, and an endless composite of assorted yard and garden related tools – not to mention fertilizers and an assortment of other soil amendments. Two of my garage walls are packed with boxes of “only God knows what.” Boxes of stuff that don’t deserve a place inside the house! How many years have they been there? It seems like forever! 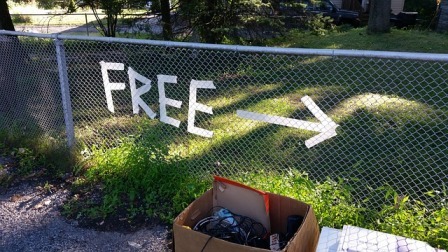 Maybe, I will have a yard sale – or give stuff away that I can’t sell. That will get rid of nearly all of the boxed items stacked along my garage walls including the things we bought at other yard sales that never made it into the house! 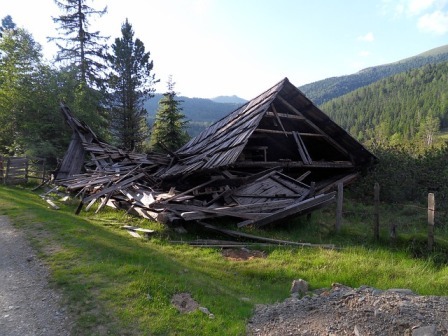 But, the bigger problem is everything else that I do not want to get rid of – machines, equipment, and tools that would not only deteriorate rapidly if left outside but, would also be an eyesore that would significantly lower my property value! So, isn’t it about time that I allow my cars a place to be shielded from their harsh existence of being permanently parked in their unforgiving outside environment? After all, the garage was invented to give shelter to cars – not our boxed overflow from within the house – or our yard and garden stuff. I need an alternative place where I can organize everything that can’t possibly be placed out of sight in my attic – a place that is easily accessible for my entire collection of yard and garden gear. Even though a storage shed is a big purchase decision, I’m convinced that it is time to take that leap. 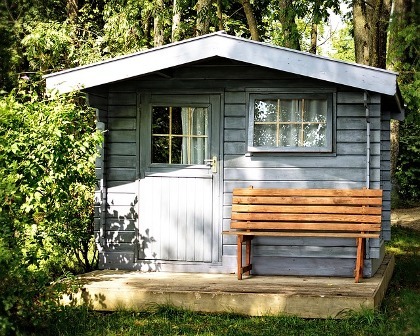 I need a storage shed – but which one? They come in an overabundance of sizes, shapes and materials. I guess it’s time to narrow down my choices, huh? There are some questions to answer before making a logical determination of the perfect storage shed to match my requirements. 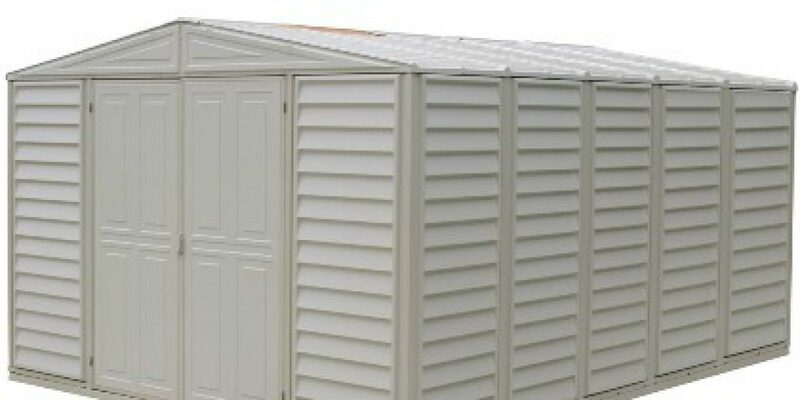 What size storage shed do I need? Do I have enough space in my yard for one? And, is the intended area fairly level? What are the local zoning regulations, building codes, and, HOA (Homeowner’s Association) rules for outside storage buildings? Do I need a building permit? Will there be tax ramifications? Should I buy a pre-manufactured or a portable building that I can just assemble, or should I have one custom built – or, buy a design and the materials to build one myself? Should my shed be made of metal, wood, vinyl – or a combination of these? A light bulb turned on in my head. Hence, on my driveway, I arranged everything I want to put in my shed – leaving room to walk through it so that I can access anything without constantly moving things around to get to something. I pictured some things being placed on shelves or pegboards. Moreover, I pondered the possibility that I may want to add a loft for additional storage of light items rarely used – but readily accessible for some future task. Measuring the area of laid out tools, equipment and miscellaneous yard and garden bits and pieces; I came up with 100 square feet for a minimum prerequisite. Then, I added 20% for possible future storage needs and ended up with 120 square feet – which also gives me initial extra room to move around inside. Thus, I know I am looking for a shed with between 100 and 120 square feet of storage area. 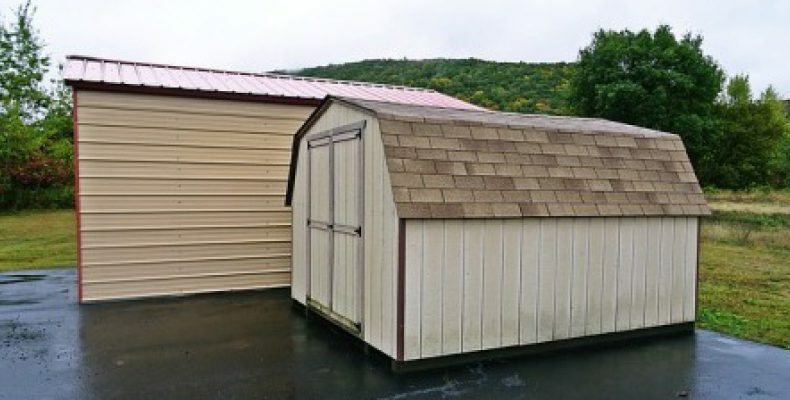 As a result, I know that I’m looking for a shed with dimensions that will give me the room I so desperately need – possibly a 10’ x 12’ or a 15’ x 8’ structure. That was easy! Of course, I also want to make sure that the shed’s door is wide enough to accommodate moving everything in and out easily. One with a double door setup would be ideal. Now, Do I Have Enough Space And, Is It Level? Lo and behold, I had room to spare in my yard to put the shed and the area was flat as a pancake and not in a flood plain. TIP: Good drainage is essential I saw that there was a very slight slope behind my intended shed location that would keep the water from damaging anything stored in it. If there wasn’t any, I would have to plan on ditches or piping to divert water away from the shed. I also have a nice shade tree close by that will help prevent the inside from becoming a sauna during midday in the summer. In the course of this assessment, I realized that I should decide on what type of foundation to place under my shed. 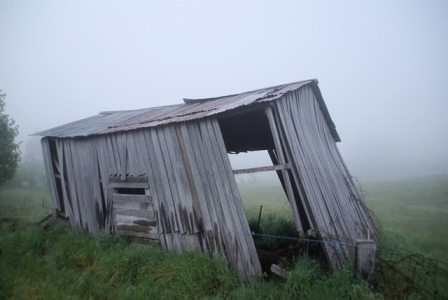 After all, the shed needs a strong, level base material for it to happily sit upon – one that will last the life of the shed and shield it from dampness. My foundation options were: poured cement slab (usually 4 inches thick), concrete blocks, crushed gravel, or a treated wood frame – or a combination thereof. But, I withhold judgment right now because I plan on conforming to the suggestions of the storage shed manufacturer. After looking at local zoning and building codes, I found that I can install a storage shed less than 200 square feet without a building permit. A permit would only be needed if I plan to run electrical wiring to the shed for lighting and I’m not going to do that. It isn’t worth the cost of the permit. Always check your local building codes. If a building permit is required and you proceed without one, carry on at your own risk because, you may be looking at a stiff fine. Furthermore, if you put your building too close to your property line, you may be legally required to move it. As a rule, structures must be a specified minimum distance from the property line – generally a few feet at the most. My site is 10 feet away so I’m safe to proceed. If the shed is going to be a permanent structure, it will most assuredly be added to your property value and increase your property taxes. This is a good reason to go with a portable structure, if possible. My homeowner’s association was easy to please. As long as the building is aesthetically pleasing and compliments the neighborhood, they will give me approval for installation. It doesn’t matter to them if the shed is wood, vinyl, or metal – or whether it is permanent or portable. Custom Built, Pre-Manufactured, Or Portable? I’m on a budget and I know that I will be paying an arm and a leg for custom built or pre-manufactured sheds. So, I’ve decided on a portable one that my HOA will approve – and I can also avoid additional property taxes. Looking at the options of wood, metal, vinyl, or polyethylene, I prefer a shed made of polyethylene with steel framework. It will stay cleaner – longer – and I’ll just have to hose it down once in a while to prevent mold and mildew growth. Nevertheless, I am flexible as I research the storage sheds that meet my basic criteria of portability and dimensions. What Sheds Am I Looking At? There are a number of sheds that have greatly impressed me in my journey to find just the right one. Even though I really want one with anywhere between 100 and 120 square feet of storage space, I am also considering some of the smaller ones that could at least handle the bulk of my yard and garden stuff – or, a one a little larger that doesn’t have a hefty price tag. Take a look at my reviews and you just will doubtless find that special shed that you have been looking for! Duramax Woodbridge Model 00584 Storage Shed – The Duramax shed is a best pick based on its quality level compared to low price! It boasts almost 970 cubic feet of storage space and can withstand gale force winds up to 115 mph! Keter Factor 8×11 Storage Shed – This is an excellent choice for storing your garden and yard equipment but only for areas where the wind does not exceed 47 mph. 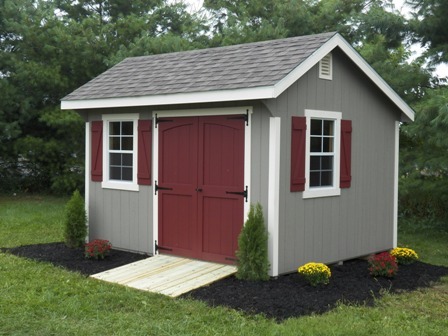 An alternative, the Keter Oakland 7511 shed, can withstand up to 65 mph. 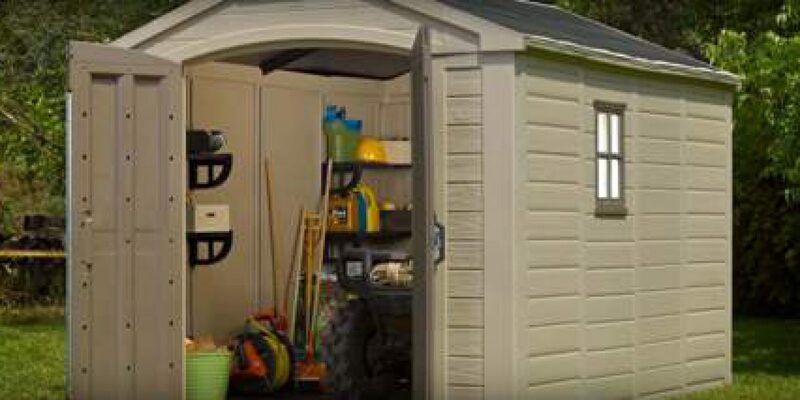 Lifetime 6446 Outdoor Storage Shed – This portable unit, with wide double door access and 109 square feet of storage is a long lasting solution to storing all your yard and garden accouterments! My neighbor, Jed, the retired farmer, stopped over while I was measuring my yard and garden stuff in the driveway – trying to gauge the size of the storage building I needed. We exchanged pleasantries. Then Jed, seeing that I was thinking about putting up a storage shed, said that it jogged his memory about a discussion he once had with his wife. “This reminds me of the time my wife, Millie, and I were eating breakfast and I asked her for a favor. She said that she was always ready to do me a favor no matter what it was. So I said, Millie, when I pass away, will you sell all my stuff that I have stored in the garden shed? Millie asked me why I would want her to do that? Well, I told her that I didn’t want just any old jerk using my stuff! I didn’t have the heart to tell Jed exactly what I felt that Millie was driving at – so I pleaded ignorance! I bet you like to read more of Jed’s stories and witticisms. Who made the comment, “I have too much storage space!” ??? 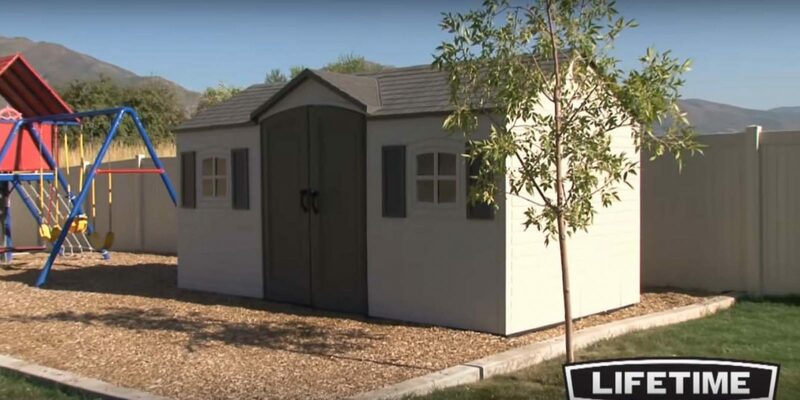 I anticipate that my assessments of these storage shed options will give you the essential information to reach a decision in your pursuit for picking the right storage shed to store all your yard and garden stuff! Comment below or email me at jim@perfect-vegetable-garden.com with questions, remarks, advice, or enlightenment! When I was looking at the lifetime 6446 outdoor shed, I literally thought I was looking at a little house. It is very nice. You should definitely leave your stuff there instead of wasting garage space. Too bad the government doesn’t allow you to wire electricity to it. I think the idea is that they want to prevent fires. However, it is not like there is no solution to it. Once I buy it, I will paint the ceiling completely white (on the inside). Next, I will buy the brightest rechargeable LED flashlight and point it upwards towards the ceiling so that the whole shed will be bright. I don’t need no wiring. What do you think ? It does look like a little house, doesn’t it? If I get a building permit, I can wire it as long as it meets the building code for electrical wiring. But, the cost of the permit makes it not a viable option. I think your idea of white paint and a bright flashlight might just be the solution. I’ll have to give that a try!